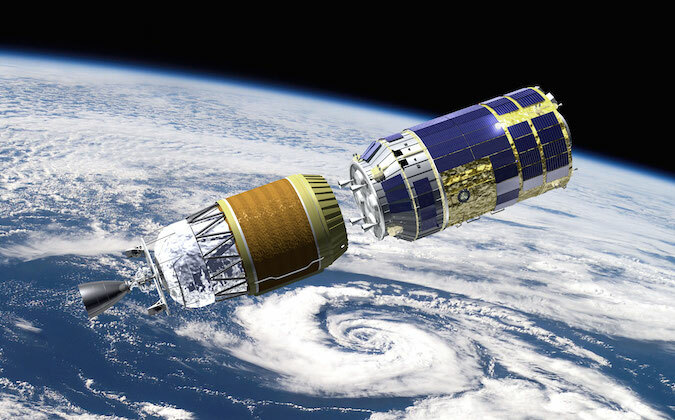 Japan’s Kounotori 6 cargo carrier will get a boost from a powerful H-2B rocket to send the supply ship and its 4.5 tons of provisions and experiments on a four-day pursuit of the International Space Station. The sixth H-2 Transfer Vehicle is set for liftoff at 1326 GMT (8:26 a.m. EST; 10:26 p.m. Japan Standard Time) Friday in an instantaneous launch opportunity to catch up with the space station. The two-stage, 186-foot-tall (56-meter) H-2B rocket is Japan’s most capable launcher. 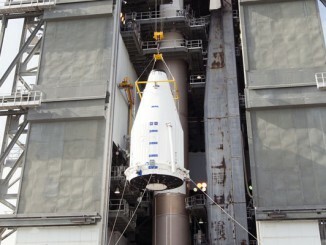 It is an upgrade from the Japanese H-2A rocket. The H-2B features two LE-7A first stage engines instead of one, four solid rocket boosters instead of the two normally aboard H-2A missions, and a first stage with a diameter of nearly 17.1 feet (5.2 meters), an increase from the 13.1-foot-wide (4-meter) core of the H-2A rocket. The H-2B’s first stage is also more than 3 feet — about 1 meter — longer than the H-2A’s first stage. 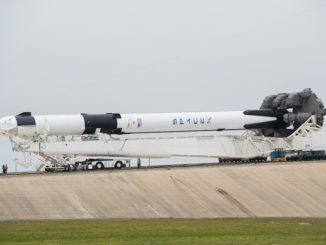 That allows the H-2B rocket to carry 1.7 times the liquid hydrogen and liquid oxygen propellants that can be flown on the H-2A, effectively doubling the heavier launcher’s lift capacity. After liftoff, the H-2B will turn southeast over the Pacific Ocean, aligning with the International Space Station’s flight path. 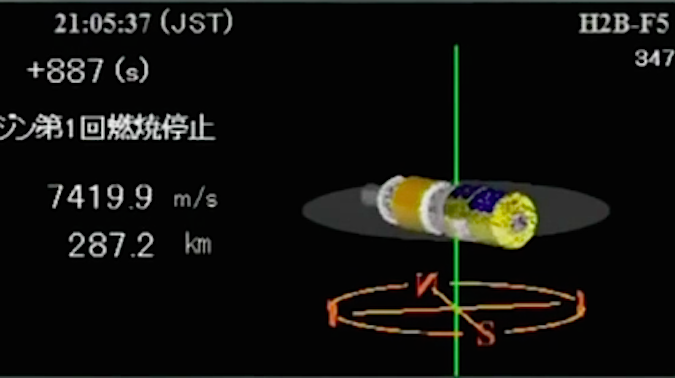 It will take about 15 minutes for the rocket to deliver the Kounotori 6 spacecraft to an initial orbit, kicking off its chase of the research complex. 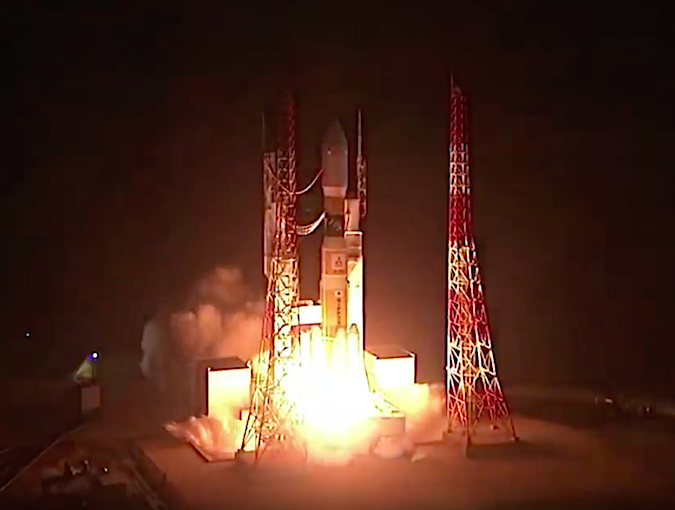 With its two LE-7A main engines and four solid rocket boosters firing, the 186-foot-tall (56-meter) H-2B rocket lifts off from the Yoshinobu launch complex on Tanegashima Island. 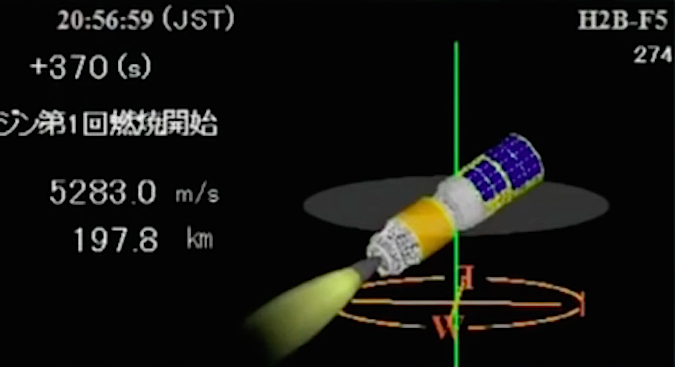 A few moments later, the rocket will complete a pitch program to head southeast from the launch site. The H-2B’s four solid rocket boosters exhaust their propellant and burn out at an altitude of 33 miles (53 kilometers). 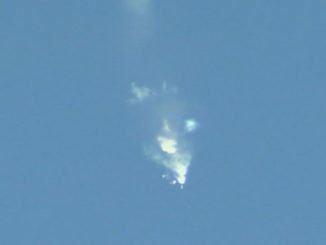 The first two solid rocket boosters are released at T+plus 2 minutes, 4 seconds, followed three seconds later by the jettison of the second pair. The second pair of the four solid rocket at 39 miles (62 kilometers) altitude and 42 miles (67 kilometers) downrange. 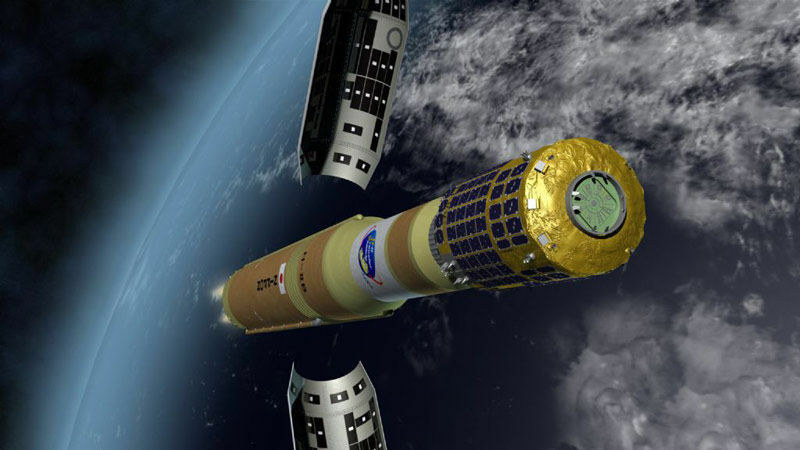 After traversing the dense lower atmosphere and reaching an altitude of 75 miles (120 kilometers), the rocket releases the 16.7-foot-diameter (5.1-meter) payload fairing protecting the H-2 Transfer Vehicle during the early part of the flight. 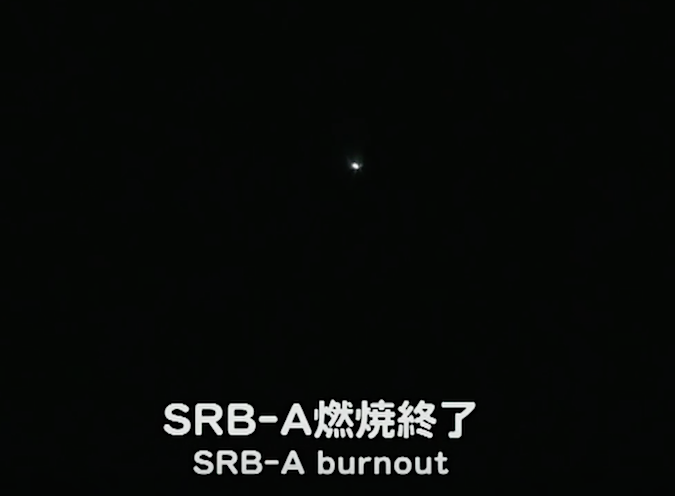 After consuming its liquid hydrogen and liquid oxygen propellants, the twin LE-7A first stage main engines are shut down. The first stage and solid rocket boosters push the rocket to a velocity of about 12,000 mph (5.3 kilometers per second). The H-2B rocket’s first stage is separated now, having completed its job, jettisoning at 117 miles (189 kilometers) in altitude and 464 miles (746 kilometers) downrange. The spent stage will fall into the Pacific Ocean. 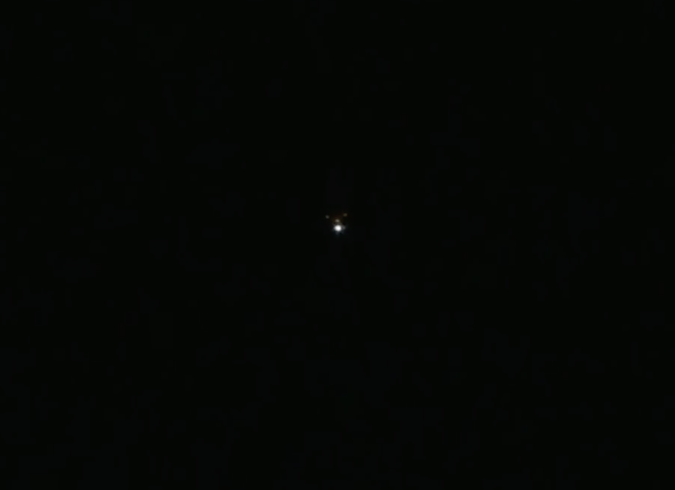 With the first stage jettisoned, the rocket’s second stage takes over. The LE-5B hydrogen-fueled engine ignites at an altitude of 121 miles (194 kilometers) to accelerate the H-2 Transfer Vehicle to orbital velocity. 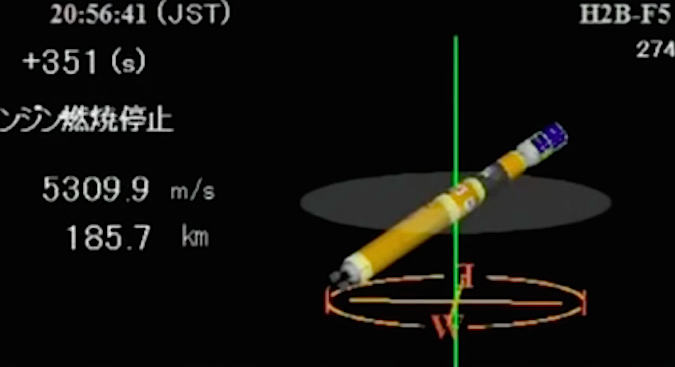 The LE-5B second stage engine shuts down after reaching its specified orbital targets. This completes the powered phase of the launch at an altitude of 180 miles (289 kilometers) and 2,314 miles (3,724 kilometers) downrange from the pad. The approximately 35,000-pound (16-metric-ton) H-2 Transfer Vehicle is deployed on its way to the International Space Station, wrapping up the flight of the H-2B rocket. Spacecraft separation will occur off the northeast coast of New Guinea. The launcher is targeting an orbit with a high point of 186 miles (300 kilometers), a low point of 124 miles (200 kilometers), and an inclination of 51.6 degrees. 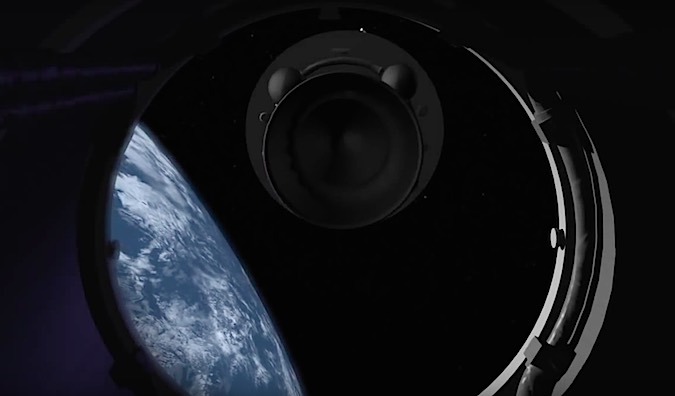 The LE-5B engine on the upper stage is scheduled to reignite for 53 seconds at T+plus 1 hour, 39 minutes, to steer the rocket into the atmosphere over the South Pacific Ocean for a destructive re-entry.